The 3 days, 2-night Turkish gulet cruise that departs Kas, is for those of you with not so much time up your sleeve, but still offering you the chance to cruise along one of the most popular routes along the Turquoise Coastline. 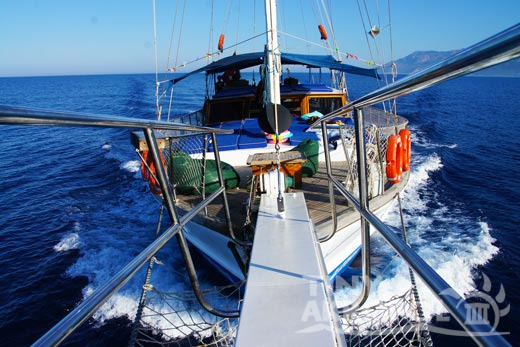 Travelling on a standard gulet, this cruise has something for everyone. From the ancient cities and sights to crystal clear waters for swimming and snorkelling. 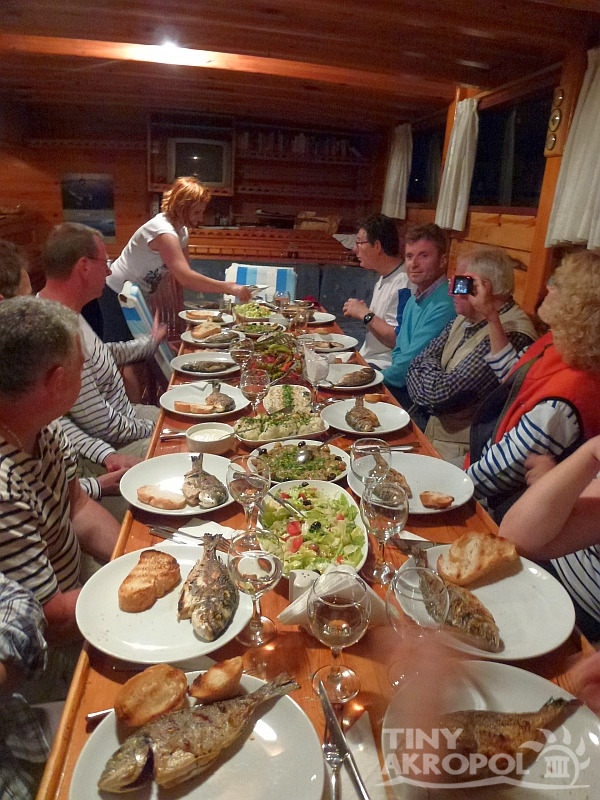 You will meet your boat in Kas Harbour to enjoy lunch with your fellow passengers. Cruising out of Kas you will get to enjoy your first night on the boat in a beautiful bay with plenty of time for swimming and enjoying the pristine coastline. The following morning you will wake up in Butterfly Valley where you can take the time to hike in the valley or just in enjoy the vivid blue ocean for a swim. You will then cruise past Europe’s most photographed beach, Oludeniz, anchoring on the back side of the Blue Lagoon before you will finally anchor down at St Nicholas Island, where you can go and explore the ruins and enjoy your last night on the boat. Whilst on your cruise you will be offered the chance to undertake the optional activity of paragliding, please speak to the office crew online to pre-book this in or your friendly crew who will welcome you on board. 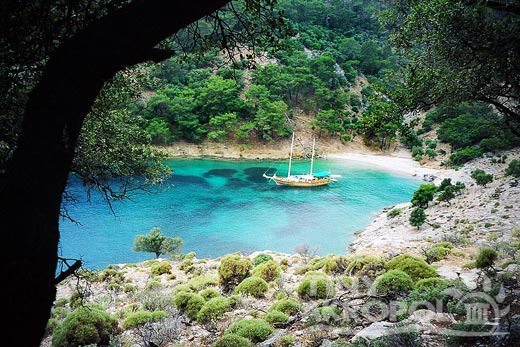 These shorter cruises down to Fethiye are carried out on a standard Turkish sailing gulet. They all motor along with engines these days otherwise the distances could not be travelled. These lovely Turkish yachts are traditional to this part of Turkey and offer you all your own private bathroom facilities in a double or twin cabin. You will board your gulet in Kas at 11.30 am, a small fishing village with a charming little harbour, to enjoy lunch on the boat. You will then have time to explore the local shops, including many handmade jewellery and clothes stores. After Kas, you will cruise on to Aquarium Bay for dinner. You will spend the night here. Please see your e-ticket for information about your meeting point to join your cruise. Before you have arisen from your slumber, the captain will journey north, so you can wake to the natural beauty of Butterfly Valley. After breakfast there is time for swimming, sunbathing, and an optional hike up to the waterfall. Butterfly Vallley is known to be the home to over 136 different types of butterflies and moths, however in the summer months difficult to spot. Afterwards, we will visit Oludinez beach, Europe’s most photographed beach and one of the best sites in the world to paraglide. If you fancy gliding off the cliff tops and taking in the spectacular views of the Blue Lagoon and Oludeniz, please let your captain know on the morning of Day 2 at the latest. Tonight we will anchor at St. Nicholas Island, we arrive in time to enjoy some watersports and the delicious Turkish pancakes served by ladies in wooden boats. Late in the afternoon, you can walk up through the island's ruins and witness the amazingsunset. Breakfast is served at St. Nicholas Island and we spend a short time here before cruising to Samanlik Bay or Tarzan's Bay for swimming and lunch. We will dock at Fethiye Harbour after lunch.